If you are a golfer and you decide to come visit Chaparral Golf Club, you can not pass up the opportunity to visit our Pro Shop. It is fully equipped and specialized to offer customers a variety of items and the best brands on the golf market. Also, whenever you need advice or help, you will find one of our Caddy Masters, always attentive and willing to assist. 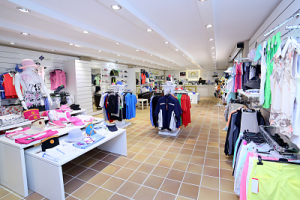 Our Pro Shop is another complement that makes your day’s play in Chaparral Golf Club unforgettable. We look forward to your visit and enjoying a magnificent golf day with you.